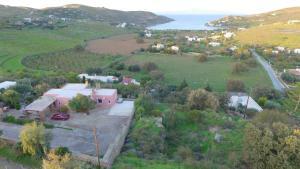 The property was in an excellent location next to Otzias bay. The room was cozy and everything was provided including a couple beach towels that we asked for. The host was great and very friendly. I would come back again!! The place is amazing. To wake up and have a coffee with a beautiful view is truly inspiring and perfect for recharging vacation. The hosts are very helpful and friendly, they guided us during all the stay and gave us tips for the places to visits and restaurants with local cuisine. 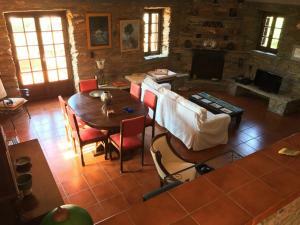 After one week in this beautiful stone house, we felt like home and will turn back again :) Thank you Janis and Manos! Emmanuel and his father were the absolute perfect hosts. They picked us up and drove us around. They went above and beyond what we had expected. 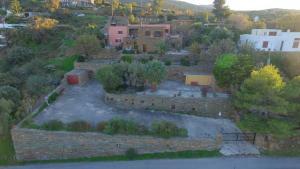 Super location very close to a nice beach and all amenities one could need, lovely private set up with great views. Our hosts were exceptionally accommodating and went to great pains to make sure we were comfortable throughout. We will return for sure. The view is unequalled, the sea is amazing, the public bus 100 steps from the accomodation away and anytime in time, on the way to the beach almonds - and figuetrees. Recommended, Absolutly! I wouldn't be able to find better place to stay! Fantastic view, spacious rooms and terrace, property owner and staff very helpful and friendly, always there to satisfy our requests! Big big thanks for the delicious ice cream! The host was very helpful and informative. The location is great with a nice view. Great value for money! Very beautiful and spacious room with a very nice view to the sea and an excellent location in order to explore the whole island. Lock in a great price for Horizon Studios – rated 9.1 by recent guests! 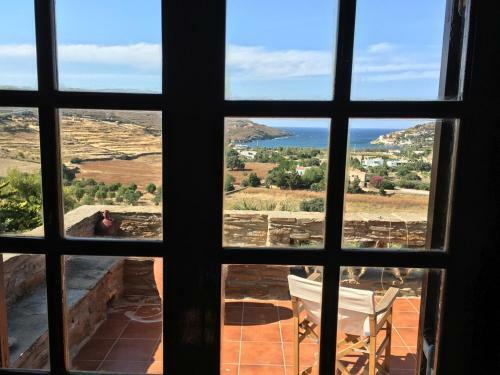 One of our top picks in Otzias.The stone-built Horizon Studios in Kea Island offers studios and apartments that offer unobstructed views over Otzia Bay. Free WiFi is available in all areas. Each self-catering unit here will provide you with a TV, a balcony and a terrace. There is a full kitchen with a refrigerator and kitchenware. Private bathroom also comes with a shower. At Horizon Studios you will find a garden. The closest beach is within 2,300 feet. Restaurants are within walking distance. Free private parking is possible on site. 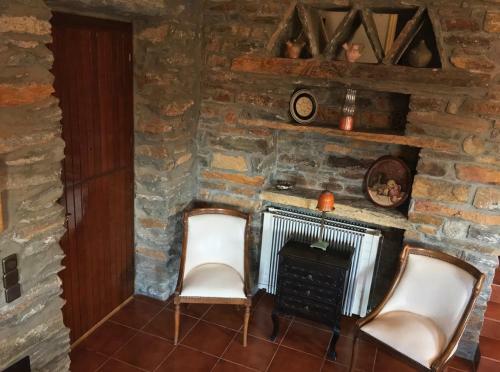 This property also has one of the top-rated locations in Otziás! Guests are happier about it compared to other properties in the area. When would you like to stay at Horizon Studios? It is located at the back of the property. This apartment has a balcony, electric kettle and tumble dryer. 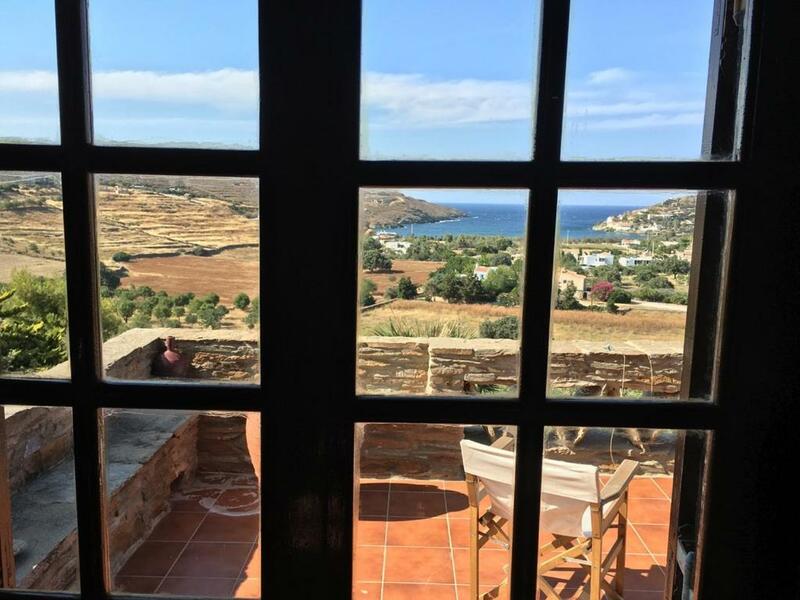 A magnificent view of Otzia Bay, a top choice for renting accommodation & apartments in the island of Kea (Tzia) in the Cyclades. Our stone house villa is carefully designed to blend with the natural surroundings so, meetings feel like an escape and they are held in a fairytale setting. 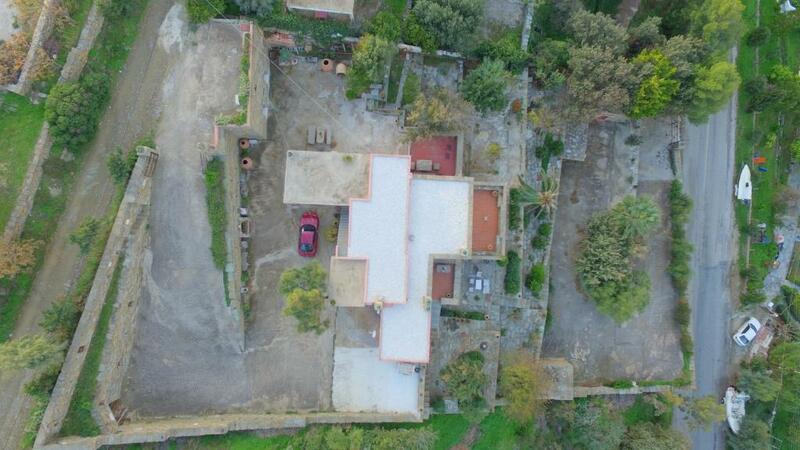 If you are looking for a peaceful and private location just a few steps from the largest beach of the island (around 700m long), and 5 minutes drive to the port & vourkari where you can discover shopping, restaurants & nightlife. So unless we are fully booked look no further... Construction was a gradual process and took a lot of time. We personally supervised interventions in the design, taking care that the landscape would not be spoilt, and adding special details to create a harmonic structure that would give the sense to those who are here that they are in their own space and not in an imposing, typical hotel. Eventually, we created a complex of small, individual houses, beautiful spots for relaxation and an unforgettable view of the bay and the horizon. Our idea was to build a guest house that would be intimate, natural, unique. The best location was chosen, giving priority to a setting which would be harmonious and peaceful. We brought in local experienced stone craftsmen who began building using the same colored stone that came out of the original excavation, to preserve the completely natural look and feel of horizon studios. 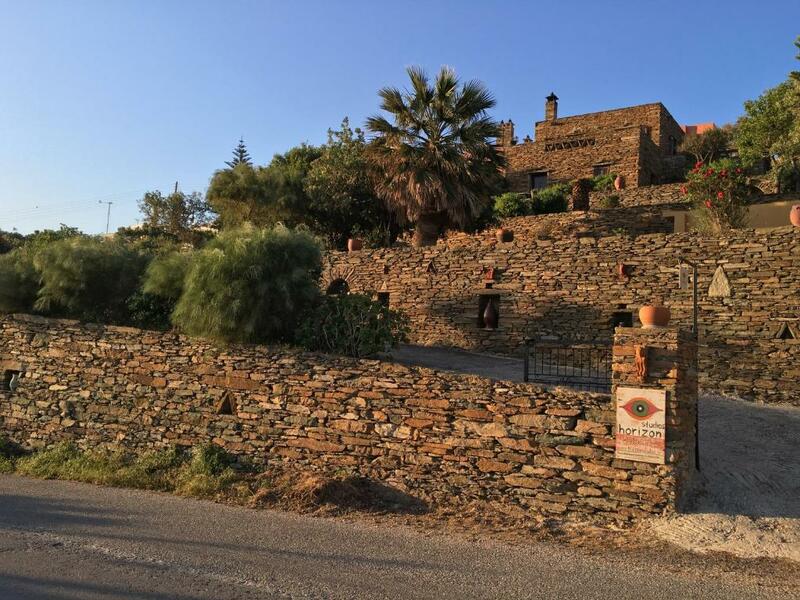 The spectacular bay of Otzias is residential only, featuring several stone-built holiday houses, 2 picturesque tavern's by the sea and a semi-organized beach offering both sides of the coin. Otzias was the ideal place where several greek classical films were shot in the past e.g. "I Maria tis siopis" (1973) starring Aliki Vougiouklaki. House Rules Horizon Studios takes special requests – add in the next step! Please inform Horizon Studios of your expected arrival time in advance. You can use the Special Requests box when booking, or contact the property directly using the contact details in your confirmation. The view from the terass was wonderful. Very good location with amazing view!! Friendly staff and service. The lovely view and the architecture as the house was made of local stone. The house was in a lovely position , clean and well equipped. You can have your drinks just in front of the bay. The view was amazing. The owner gave us Ali does to visit the island which is a place to discovery!